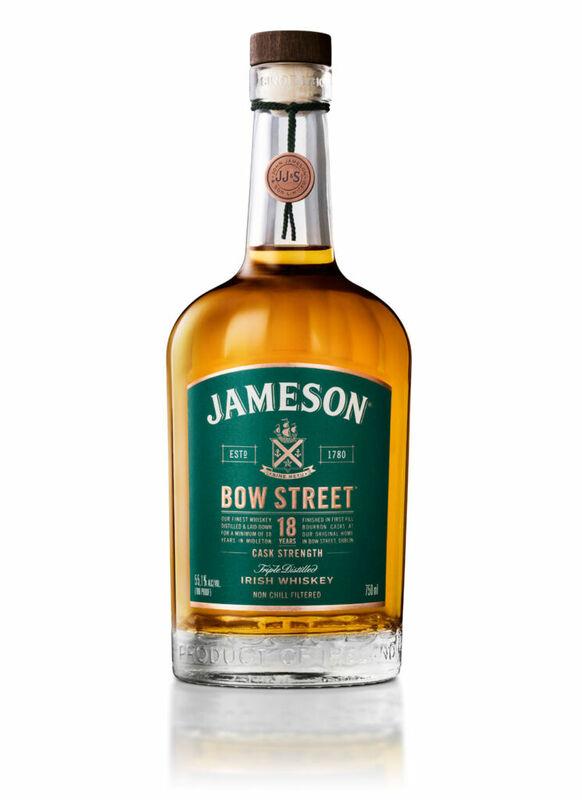 Jameson Irish Whiskey, which is produced by Irish Distillers at the Midleton Distillery, has launched its second batch of Bow Street 18 Years Cask Strength. 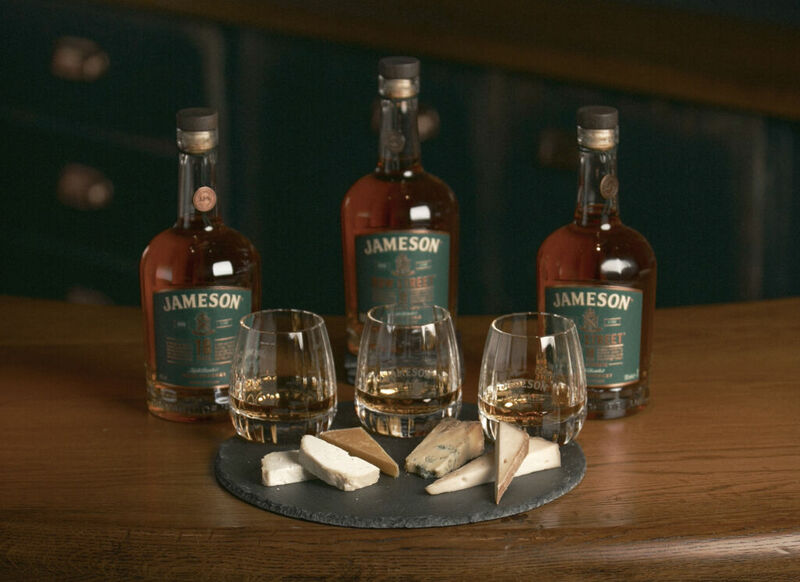 Following on from the first batch that was released in April 2018, it is the only cask strength Jameson to be available globally that is laid down for a minimum of six months in Dublin’s only live Maturation House at Jameson Distillery Bow Street. The new and rare Irish whiskey celebrates Jameson’s Dublin heritage by returning part of the production process to the brand’s original home in Smithfield for the first time since 1975. Distilled and matured by the craftsmen at the Midleton Distillery in County Cork, Jameson Bow Street 18 Years Cask Strength has spent 18 years maturing under the watchful eye of Master Blender, Billy Leighton. In January 2018, the combination of sweet, bourbon barrel-matured whiskeys and rich, spicy sherry-rested whiskeys casks were then carefully married together. The result is a distinct aroma of wood and spicy toffee, a wonderfully mellow, smooth and complex palette of vanilla, leather and sherry, and a long, lingering finish that carries the luxurious spice and toffee flavours through to the end. Jameson Bow Street 18 Years Cask Strength can be enjoyed neat, on the rocks or with the gradual addition of water or ice to slowly release its intricate flavours. The creamy acidity of Mike Thomson’s Young Buck emphasises Jameson Bow Street 18 Years Cask Strength Batch 2’s intense creamy butterscotch aftertaste while balancing its subtle heat. 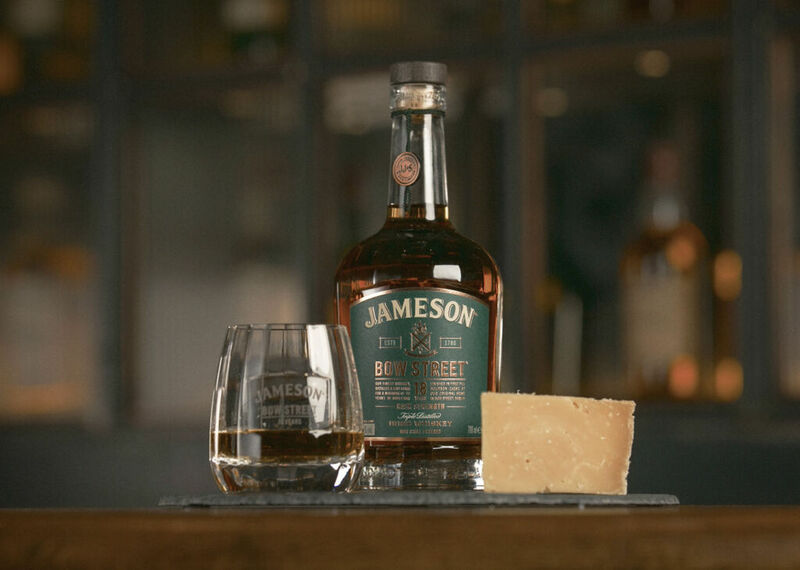 The Creeny is a zesty yet fatty sheep-milk cheese with lots of minerality and salty notes that contrast and distinguish the rich and creamy element of Jameson Bow Street 18 Years Cask Strength Batch 2. Jameson Bow Street 18 Years Cask Strength Batch 2 is presented in a luxury bottle design that truly reflects the quality and rarity of the liquid within. The bottle features 18 facets, one for each year of maturation, and the wooden presentation box celebrates the traditional pot stills used during the production process. In addition, a unique copper coin provides Jameson fans with access to an exclusive online portal where they can delve deeper into the story of the whiskey which bears the Bow Street name. Jameson Bow Street 18 Years Cask Strength Batch 2 – Where and How? The collectable bottle has a 55.1% ABV, and will be available in the USA, Europe and Asia from August 2019 at an RRP of €240 (around £205). For more information, visit www.jamesonwhiskey.com.